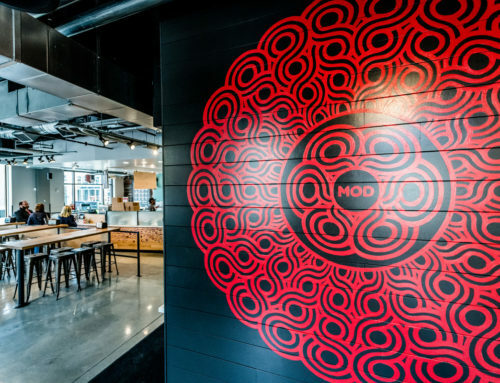 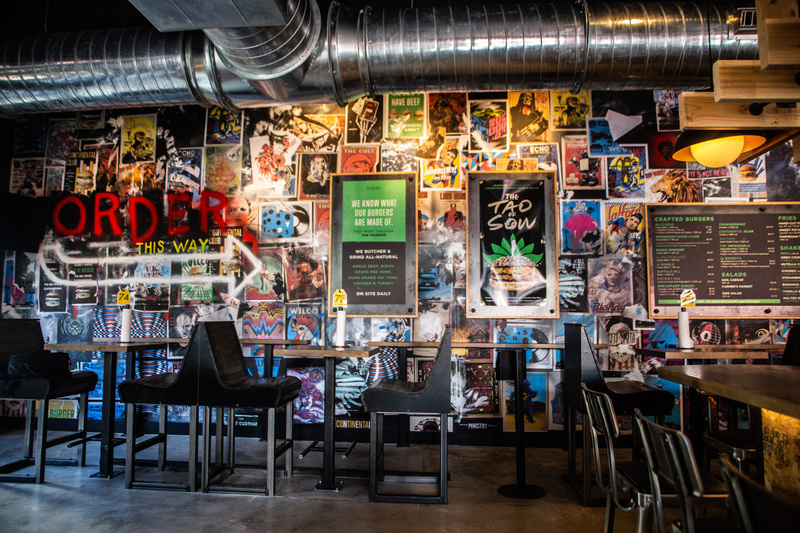 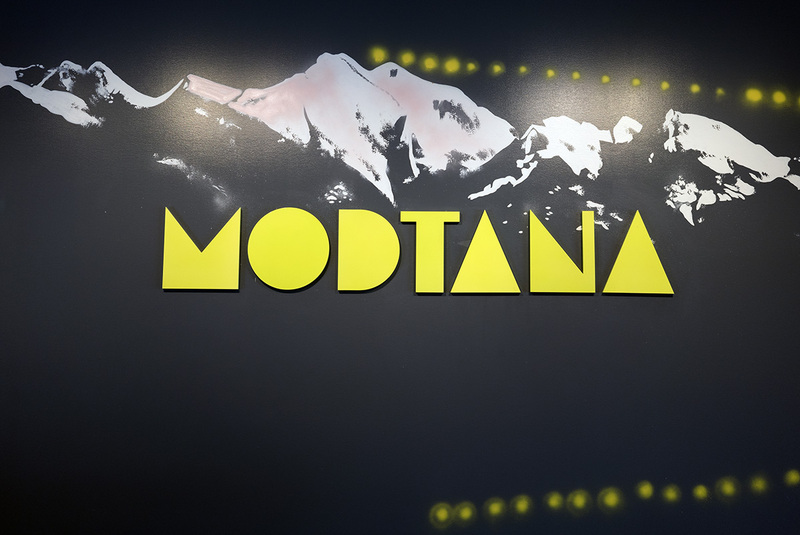 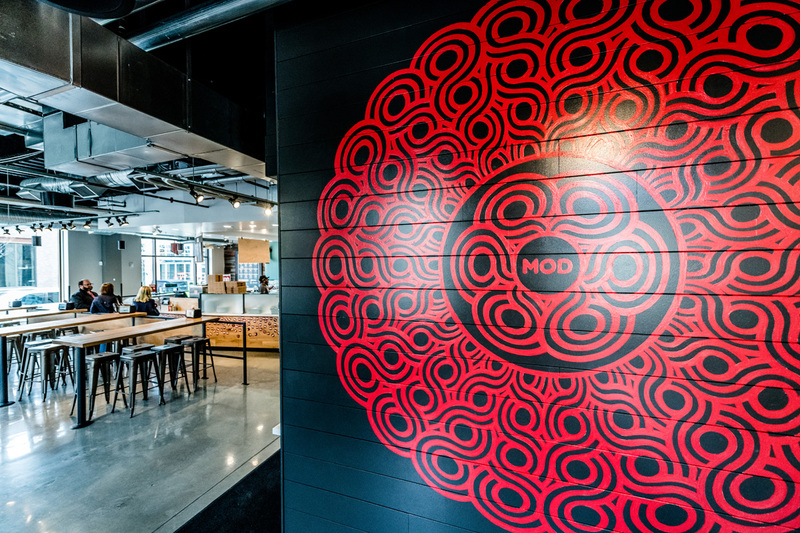 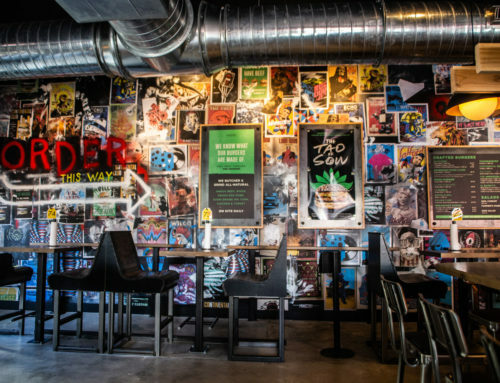 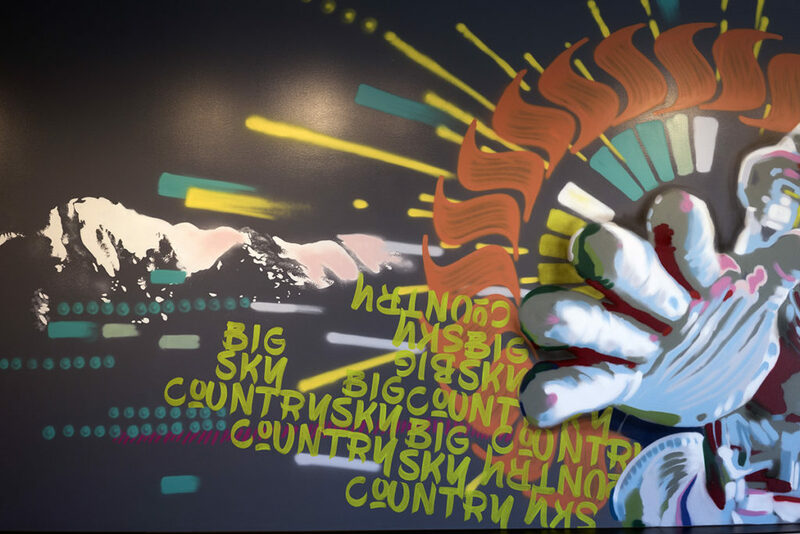 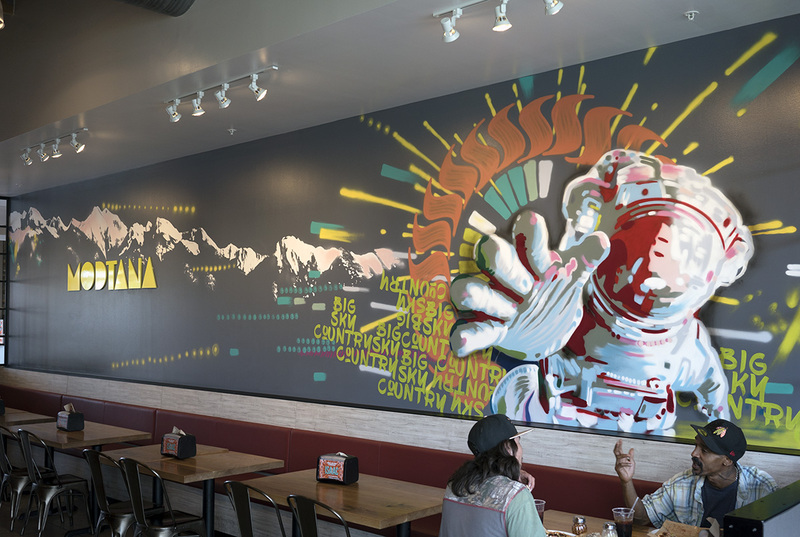 Last year, we worked on a custom mural in Missoula, Montana for a Mod Pizza restaurant that was opening. 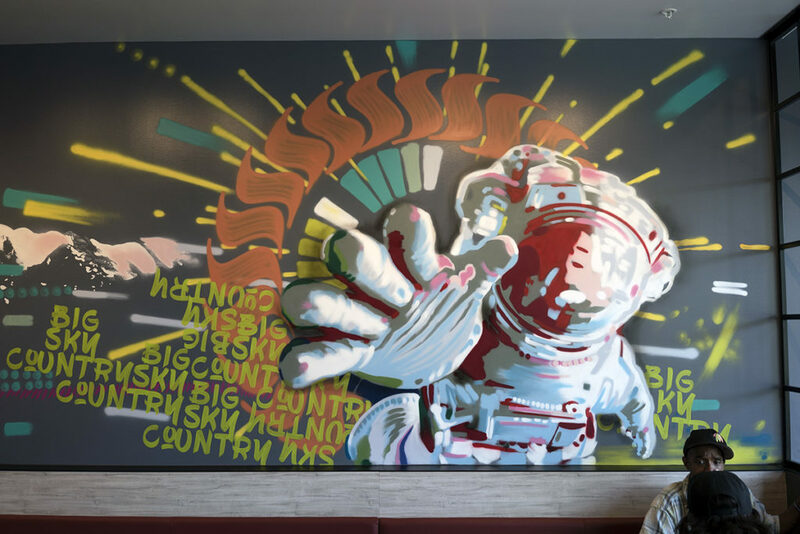 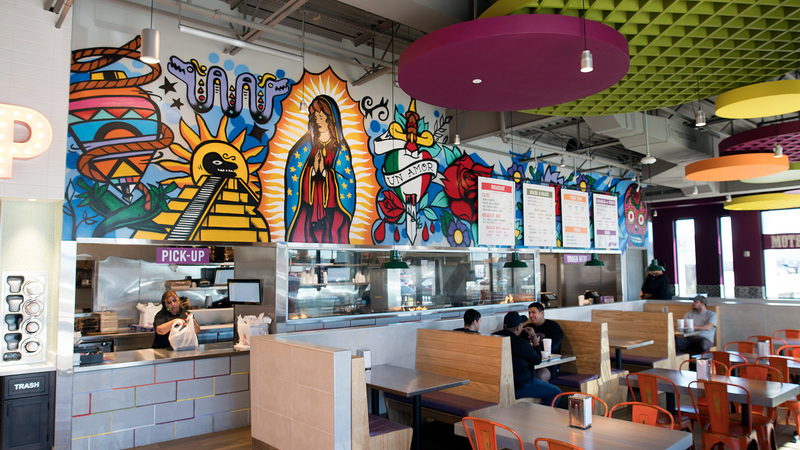 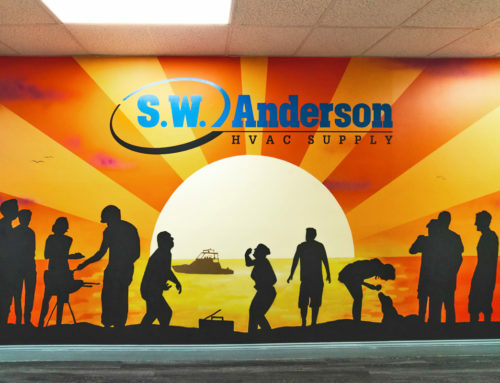 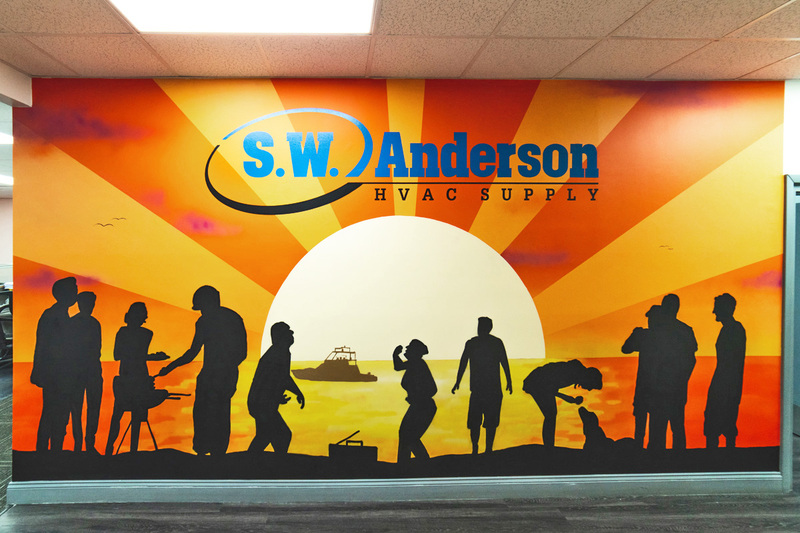 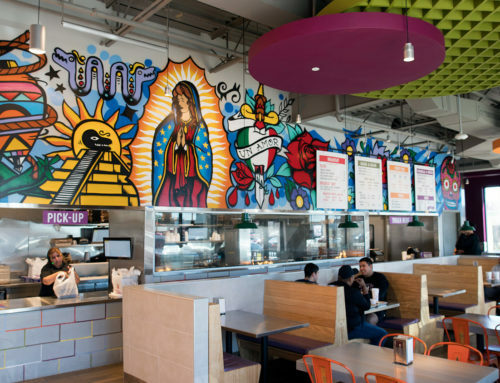 Our friends at Mod designed this mural and we interpreted it with the medium of spray paint and brush on the wall. 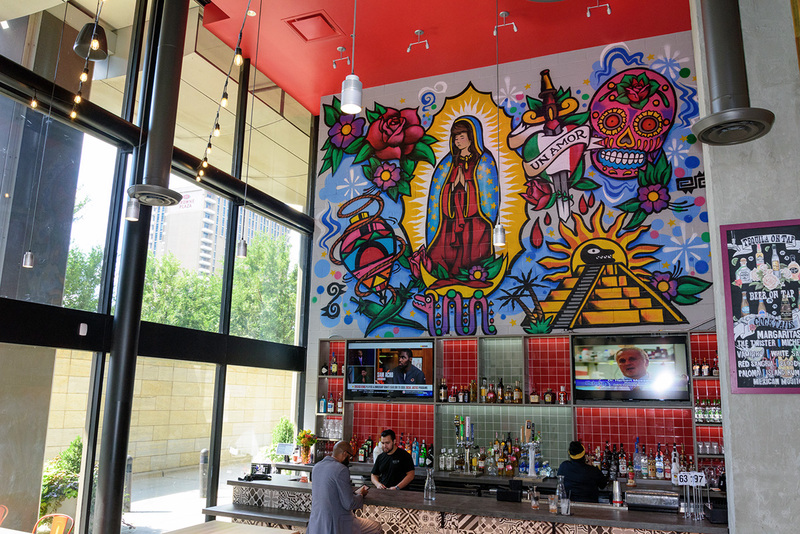 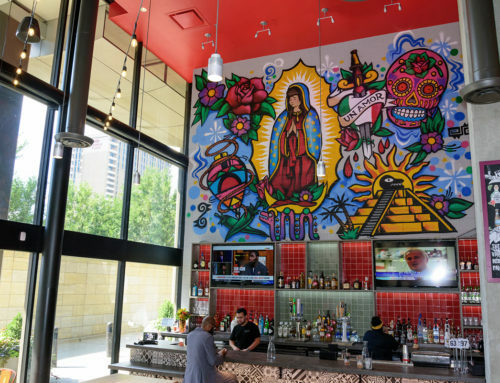 We had the chance to stop by recently to check out the work again with the restaurant now open and wanted to share some installation shots from this project. Nothing beats the beauty of this state, especially in the summer time!